Most people think their eye color is permanent, but the reality is different. In fact, many people are born with a different eye color but it all changes with the passage of time. Interactions of several genes and a number of other factors determine your eye color, but the eye color can change at different stages in life. Let's find out more about it. There are many different methods of solving how to change your eye color. Some of them are more effective, while others are rather temporary. Let's first learn about the2 really effective ways to change your eye color. The simplest way to change your eye color is to wear contact lenses. You will need a prescription to get contacts. Keep in mind that contacts can change your eye color but sometimes they may not feel comfortable, especially if you wear contacts with the wrong shape. Therefore, it is important to buy contact lenses after talking to your doctor. Be sure to buy them from a legitimate lens retailer and do not just stay content with cheap quality lenses to save money. These retailers will also help you find tinted prescription lenses if you have poor eyesight. Keep in mind that some contacts are rather disposable – you have to throw them away after wearing them once. Disposable lenses may cost you more, so you have to decide what you really want to do in this regard. No matter what kind of contact lenses you choose, you should never exceed their expire date. Opt for enhancement-tiny lenses to change color of your light eyes. Do not buy these lenses if you have dark-colored eyes. Try opaque-tint lenses for a drastic change, especially if you have dark eyes. 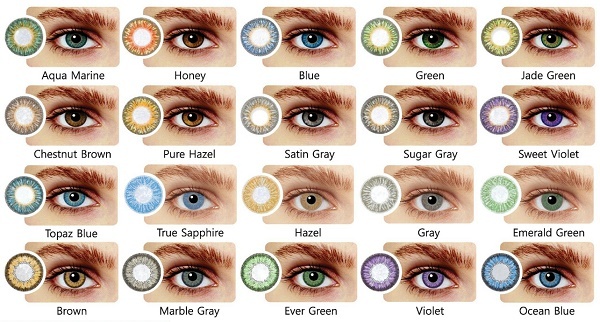 They are also available in natural colors, such as blue, brown, green, gray and hazel. Learn to wear and carry lenses properly so they do not move around when you blink your eyes. Enhancement lenses are better in this situation as compared to opaque lenses. Know that your pupil changes size with a change in light conditions but your lenses do not, so this may cause blocked vision. Keeping your lenses clean is important to prevent infections. Keep them in their cases, well-lubricated with the saline solution. Touch your contacts with clean hands and never use your saliva to moisten them. You will be better off not wearing lenses when swimming or taking a bath. This can help change brown eyes into blue ones. It only takes 20 seconds to complete the surgery and involves removing the outer layer of the iris and letting the blue color come out. Your eye will become bluer after the surgery. While undergoing a surgery is a simple way to change your eye color, there are drawbacks as well. The procedure is still new so real side effects are not yet known. It can be extremely expensive and may not be an option for most people. It can only change brown color to blue, and the change is permanent. It can result in blindness, like all other types of eye surgeries. In addition, you can have colored irises inserted into your eye through a surgical procedure that takes 15 minutes per eye. The change is not permanent and you can have it removed later. It takes about a couple of weeks to recover from the surgery. There are some drawbacks to this option. For example, your vision may be blurry while you recover. 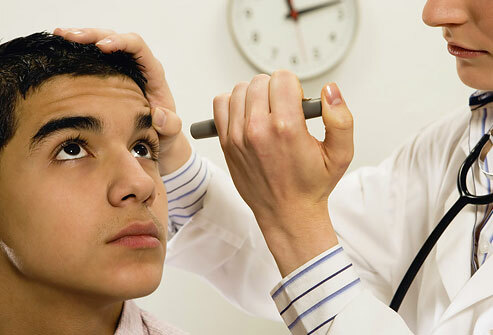 There will be increased pressure in your eye, making glaucoma a possibility. It increases your risk of having cataracts, corneal damage, and blurred vision. Worse of all, your vision may become worse or you may lose vision completely. There are other 4 natural ways that people say they help in changing the color of eyes. So, if you want to know more about how to change eye color, read on for more. You can change eye color by using honey. You have to use pure honey and bottled water for this. Honey works because it has natural bleaching properties. It may not work for everyone but you can try it. Simply mix organic Manuka honey and distilled water – use one drop of honey for 5 drops of water. Put the mixture in a clean dropper bottle and place a couple of drops in each eye to see results. There are people who claim that they notice a change in their eye color with a change in their emotions. They can express their different emotions with different eye colors. The pupil and the iris may cause this change. The iris determines how much light goes into the eye and it achieves it by changing the size of the pupil. Studies show that extreme grieve, happiness, and arousal can dilate pupils, and when pupils become large, the eyes look darker. Unfortunately, this method does not work for everyone, and you just cannot change your eye color with this method whenever you want. While it is not clear how hypnosis works to change eye color, the only explanation is that it changes your mood to change your eye color. You will have to take a couple of self-hypnotic sessions a day for 2-3 weeks to start seeing any changes in eye color. Keep in mind that some people have complained about having nightmares after undergoing hypnotherapy. Include spinach in your diet to make your eyes shine more and look different. Eat fish to improve the eye color strength and make your eyes look different. You can give your eye a warmer hue by including chamomile tea in your diet. Including olive oil in your diet may go a long way in altering your eye hue. Regular consumption of onions may help bring a slight change in eye color. Including plenty of meat in your diet will improve your intake of magnesium and zinc, which can help change the color of your iris. Why Do Black People Have Yellow Eyes? Can Women Be Color Blind? What Causes Tingling Feeling Around Eyes? Why Do I Have One Pupil Bigger than the Other? Blurry Vision When Waking Up, Why?